March Business After Hours is bringing back the Mini Business Expo! There will be vendor booths, games, prizes and of course networking in a fun relaxed environment. 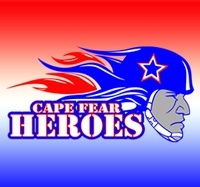 Plus our special guests The Cape Fear Heroes Arena Football Team! Come out & meet the team, watch a special display performance, then test your skills head to head with the Heroes! Limited vendor spots are still available! Email marketing@faybiz.com for details! Enjoy an evening of networking in a fun and relaxed environment at Business After Hours. Held in a variety of venues throughout the Fayetteville area, these casual receptions are a great place to socialize and meet potential business partners. "Thank you for a lovely event. Great crowd and venue as well." "I met a number of great partners and organizations I can help." "This event helped me get more comfortable with networking events - thank you!"